Folding Boxes, Custom Boxes | Albright Paper & Box Co.
Folding Paperboard Boxes, Set Up Boxes, and Paper Specialties. Albright Paper and Box helps source your packaging needs for Folding Paperboard boxes of all shapes and sizes. Albright Paper & Box can help you develop your folding box specifications. Here is just a short list of products and types of products, which may require specific packaging and folding box needs. Paperboard boxes include two general classifications: folding paperboard boxes and set up paperboard boxes. 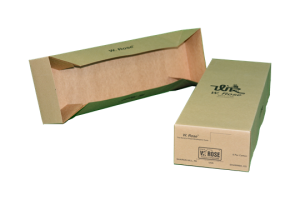 The folding paperboard box is made of glued paperboard and is shipped to the user as a flat structure to be folded by end user into an erect box. The box is then easily filled; by hand or, by machine. Examples are paperboard boxes for cosmetics, pharmaceuticals, fresh and frozen food, toys, and hardware. The list includes products that are put into a box designed for retail sale with graphics that appeal to the prospective buyers. 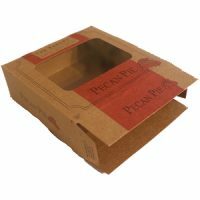 Paperboard boxes can be made of tan bending chip, solid bleached sulfate, unbleached or brown sulfate, recycled clay coated news back, and recycled clay coated Kraft or brown back. Boxes can be customized with clear plastic laminated paperboard for items such as frozen foods. Folding paperboard boxes are typically one of three basic structure types, tuck end on both top and bottom, tuck top with tray bottom, or four corner glued lid with tray. There are many variations on these themes. The set up box usually consists of a rigid and separate lid and bottom. These boxes are often wrapped in printed-paper and often have elaborate and inventive interiors. Set up paperboard boxes are shipped rigid or erect, not folded flat. Pie, Donut and Cake boxes, poly-coated boxes with non-stick properties, FDA approved inks may be required. Boxes for Dry Foods, Pasta boxes, rice boxes, cereal boxes, pet foods, cracker boxes. FDA approved inks may be required for direct contact with food. Toy boxes, hardware boxes, automotive supply boxes, clothing boxes, and so forth. Albright Paper & Box Co. Copyright © 2019 Albright Paper & Box Corp. | Website designed by LMS Solutions, Inc.